Join me for a little jaunt upstate. TD and I are celebrating our 25th anniversary coming up over Labor Day, and we wanted to attend a recital in Cooperstown given by our friend singer Jonathan Tuzo who was a Young American Artist at Glimmerglass Opera this summer. Voila, a trip was born. 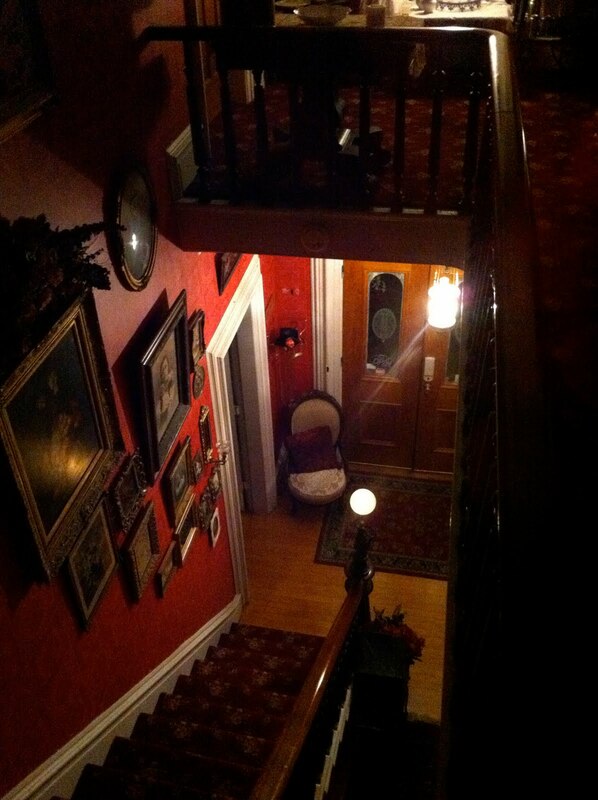 The first stop upstate is always at my family's home, 611 West German Street in Herkimer, New York, now the Bellinger Rose Bed and Breakfast. You may remember that this Victorian house built in 1865 was my grandparent's home where they raised nine children including my grandmother, and that I spent a lot of time in this house as a child. The house looks great. Thanks to Chris and Leon Frost who own it now and maintain it beautifully. TD and I made a video tour through the house which will be upcoming here on the blog. It's always fun for me to visit because I can still picture my great aunts there. We visited with O'Donnell relatives in Herkimer and then had a little dinner at the Albany Street Cafe. The next day we drove down to Cooperstown which is a place that I love. The village of Cooperstown was established in 1786 by Judge William Cooper, the father of James Fenimore Cooper, the renowned American author. Today the village is filled with nineteenth century houses within the Cooperstown historic district. The exterior, shutters and interior curtains of this elegant house are all in the same matching creamy color. Some time I would like to stay here, the Inn at Cooperstown, built in 1874. 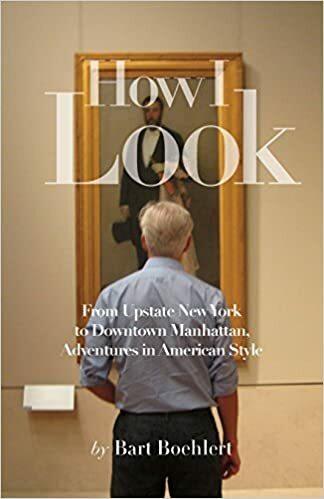 TD and I hustled over to the Fenimore Art Museum to see an exhibit there – John Singer Sargent: Portraits in Praise of Women as well as a correlating costume exhibit of nineteenth century New York fashion called Empire Waists, Bustles & Lace. We had a date to meet with the two exhibitions' curators, Dr. Paul D'Ambrosio and Chris Rossi, and videoed the tour through the shows. The video will be coming up on the blog forthwith! There is also wonderful folk art and American Indian art housed in this museum which is located on the shore of Otsego Lake on the site of James Fenimore Cooper's early nineteenth century farmhouse. Then it was off to Jonathan's recital at the Otesaga Hotel, a grand resort hotel built on the lake in 1909.
to the ballroom with windows that looked onto the lake. We met up with our friend Brian Healy and his pals who also came from New York City for the recital. Jonathan Tuzo gave a wonderful concert performance. He has a beautiful, strong tenor voice and a sparkling, irresistible on-stage presence. His program was dedicated to his parents, and he explained that his father was from Bermuda and his mother was Irish-American; "He put the black in black Irish," Jonathan said to a round a laughter. Then he sang some Irish ballads to his mother, pictured here. Not a dry eye in the house, I'm telling you. Here we are with Jonathan. Then it was time for a drink on the hotel's veranda! We had a jolly dinner with the group at a restaurant in town and then TD and I were off to Sharon Springs, about a half an hour away. There we stayed at The American Hotel. The American Hotel was built in 1847 and attracted the leading figures of the day including Oscar Wilde who gave porch-side readings. It fell on hard times though, and in 1996 ex-New Yorkers Doug Plummer and Garth Roberts bought the neglected building and completely restored it. Doug and Garth are, we soon discovered, totally charming. As hotel owners have found their true calling. I loved the way the hotel was decorated with antiques. This is the cozy bar area. The hotel has a very good restaurant, we were to discover. Here is the dining room. It's antique but it's edited for a clean, handsome look. The next morning after a delicious breakfast of corn pancakes with local maple syrup, we headed out. Here is the hotel by day. Sharon Springs is also home of the Fabulous Beekman Boys – have you seen that reality tv show? It's about two New Yorkers, Josh Kilmer-Purcell and Brent Ridge, who buy the Beekman farm in Sharon Springs and learn how to become country farmers. I had bought and read the book Josh wrote about it, The Bucolic Plague. Down the street from the hotel is the Beekman 1802 Mercantile where goat cheese, goat milk soap, and beauty products from the farm are for sale. Cute baby goats graze outside. We had asked Doug if there were any antiques stores around, and he reported that the Bouckville Antiques Show, with tons of dealers, was that very weekend. We hopped in the car and buzzed over to Bouckville. There were tents for days. We walked and walked and walked. My favorite tent was filled with antique wood furniture. It reminded me of 611. If only we had more space at home. Back we went over the rolling green hills to Sharon Springs. There was no room for us that night so we checked in to an eighteenth century brick house bed and breakfast. There was a clear spring-fed pond in the back where we took a refreshing dip. Behind this door was a warm outdoor shower. TD gathered some wild flowers. That night we returned to The American Hotel for dinner. Guess who was sitting at the next table – the Fabulous Beekman Boys with someone from the Food Network. I had beef tenderloin tips with pear, bacon, blue cheese, and mashed potatoes. For dessert we had a piece of maple cream layer cake and a glass of port. It was the best meal I've had in a long time. There is a very talented chef in the kitchen, Lee Woolver, who happens to be Garth's cousin. Garth and I also discovered that we both went to New Hartford High School. The next day we drove home to New York City, down route 145 to Catskill, past lush cow pastures and through verdant valleys and old mill towns. After it stopped raining, white mist clouds rose up from the green hills, like a Rip Van Winkle dream. It was already a fabulous weekend and then you stumbled upon a great outdoor antique show!!! It just doesn't get any better than that. Strangely, I am working on a new post of a great little lake cottage I did some years ago on Lake Otsego. You hit all the high spots. Did you feel the ghost of Oscar Wilde on that wonderful porch?